Disclaimer: This product was sent to Top Clack by one of our partners, zFrontier. We liked the way the keyboard looked and asked for a sample. They happily obliged. We did not get paid for this review. As usual, these thoughts are my own. These reviews are good for the community, so honesty is key for me. Please keep that in mind. 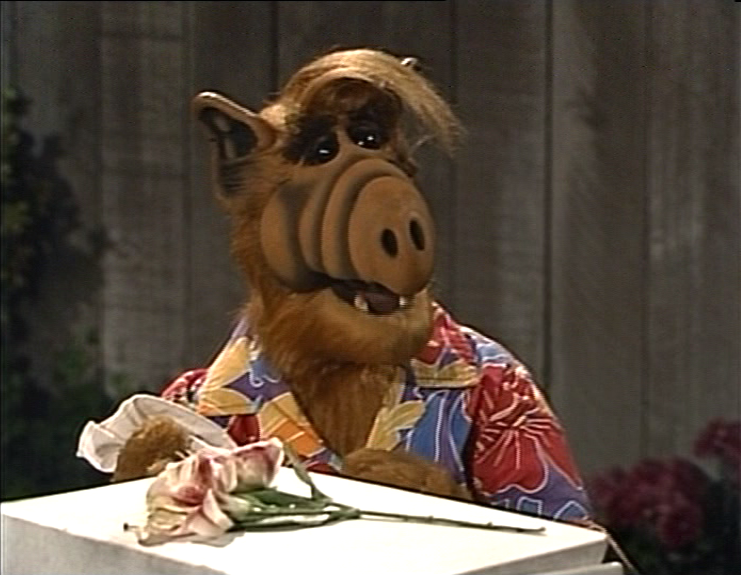 If you’re well into your adult life, this is probably what you think of when you think of Alf. However, if you’re well into your mechanical keyboard career, you might think of this keyboard, instead; a hefty and sizable 60% keyboard kit with a lot to offer for your dollar. Typically, building a premium 60% board with a nice thick high-profile housing, top-mounted switch-plate, brass inserts, and enough weight to compete against some of the heaviest keyboards in its class, takes money...and a lot of it. The Alf X2 looks to change that, offering all of that for only $280, and that includes a QMK-powered PCB, even! So, let’s break down the board a bit and see what you get for that price, shall we? We’ll start right off with the main housing, since that’s probably why you’d be buying this product. The housing is NOT short on design, that’s for sure. It’s not exactly what I’d call minimal, but it has some unique character that I’ve never seen in another keyboard before. With all the intricacies, I think this housing is a “love it or hate it” affair, and I love it. I’ve been around for a while now, and I’ve seen a lot of keyboards. A lot of them look very similar, and while I tend to lean towards the more simple and elegant designs, this feels more like a hybrid of exotic and simple. One of the more interesting design choices that I like a lot here is the way the weights/accents sit in the case. Most weighted customs on the market these days will have a weight that screws in from either the inside or the outside of the case. But here, the weighted letters just slide into the cutouts for them, then a fully transparent strip of acrylic screws in over the top of them, to hold them in, so you’re able to enjoy the look of them, while they’re protected. The weighted namesake letters are made of brass, so they add an extra heft to the case, but unfortunately, they’re not sealed, so they patina easily and take very poorly to fingerprints. Some people like that used, browning look, but I prefer a mirror finish and seal on my brass, like the M65-A’s brass components from Keyclack X Rama. My review unit came in the Micro-arc oxidation finish, which is a technique to provide a white finish for the aluminum, since anodization (a cheaper and more common method) can’t offer a truly white finish. Unfortunately, this oxidation method wasn’t able to provide the true white that I’ve been craving for a while now. It came out more of a beige cream kind of color, which looks nice, but if you’re looking for a bright white, this is NOT it. To me, it’s not worth the $55 premium ($335) over the more basic anodization options ($280), which is a much more attractive price point for the kit. Regardless of which version you choose, steel is the only option for your switch-plate. Surprisingly, this might be my favorite part of the kit. I’ve been using steel plates for a long time. I like them for their stability, rigidity, and the sound they provide while I type. Something is a little different here, though. When I put this build together, the plate really took me by surprise. All of the steel plates I’ve used in the past were all the same, when it came to look. A very simple brushed finish that didn’t interfere with the raw steel look. That is not the case here. Instead of a more common finish, they opted for an electropolished finish. This is the first time I’ve ever seen this in a keyboard, and it’s incredible. It looks like very well [grey] anodized aluminum, with the added benefit of feeling like steel. It played tricks on my brain at first, because it looks so smooth and clean, and so….not like steel. This was a REALLY nice touch that I would really love to see more of in the community. Seriously, guys, I would use these plates always. They’re awesome. Speaking of plates, you have two options. A more standard universal 60% option (which I imagine most of you would be using) and a plate that supports 2u left shift and arrow keys. My review unit is the latter, which is my first extended experience with 2u shift, arrow keys (on a 60%), and a differently-staggered row 4.1 (what I’m now calling the row with shift keys). In short, I don’t like it, but because a more normal plate is available, I definitely can’t mark this against them. While we’re on the subject of options, you have some. You can choose the colors of the top case housing, bottom case housing, nameplate insert, and microswitch inserts. Furthermore, you get to choose your plate style and layout style (HHKB or full 60%). One downside to the PCB is the mini-USB port is soldered onto the face of the PCB, instead of the bottom, which is more common. The placement of the USB port slightly interferes with the plate, which doesn’t have a cutout to accomadate the port. I was able to build the board just fine, but this is definitely not ideal, as I had to really smash the plate and PCB together, and some of the switches closer to the USB port weren’t in the PCB as far as I’d normally like. With that said, it did come out fully functional and looking great, once fully assembled. I built up my review unit with the unreleased Hako Clear switches, from our partners at Input Club. If you’re curious to know my opinions on the switch, check out my review for them here. Long story short; they’re awesome, and they’re especially awesome in this board, with its top-mounted steel plate and dense aluminum housing. They feel great and sound great. Nuff’ said. I know it’s not a major point to buying a keyboard, but let’s talk about the packaging here, because it’s really something special, and almost made me tear up a little bit. The box is thick, with nice Alf logo branding on the top, and a simple and profound quote on that bottom that reads “There is only one success; to be able to spend your life in your own way.” I know to a lot of you, that may sound cheesy, but that resonates with me more than most of you will ever know, and it made me very happy to see. Furthermore, the packaging includes a lot of soft-cell foam with proper cut-outs for just about everything, and enough conveniently-sized foam pads to dampen [read: deepen] the sound of your Alf x2 and several other 60% boards in your collection. Not that it’s expensive to buy foam, but I like easy value, and this is that. Speaking of simple things that made me happy - the rubber feet for this board are amazing. In most boards they’re an afterthought, but here they really feel like a part of the build. The included feet are long and thick (yeah yeah, save your jokes). The bottom housing has deep cutouts for them, so instead of them just resting on the surface, they actually go into the housing and just barely protrude out the bottom, just enough to stop slippage. Because of this design, they will not fall out or come off when moving your keyboard. For some, this won’t matter much, but I change my keyboards position a lot. For gaming, I tilt the keyboard clockwise for a more ergonomic feel for my left hand, so moving it back and forth from that position to a normal typing position puts a ton of strain on normal bumpons, which causes them to come off easily after a short amount of time. That doesn’t happen here with the Alf x2, thankfully. I love the extra thought that was put in here. It will go unnoticed to some, but for people like me, it’s a godsend. Overall, I really like this keyboard. It’s not perfect, but the amount of value it puts out for the price is undeniable. I’m used to paying more than $280 for just a nice 60% housing, so to be able to get a premium board like this for that price and include a PCB and other great features is great to me. It’s still not “cheap”, but it’s more accessible to people that are otherwise unable to spend $500+ on a complete keyboard. This is a great value for your first nice custom, and I’m glad I got to check it out. If you’d like to check out the group buy, which ends on December 12th, head over to the group buy page on zFrontier!